How to NOT sell one of the easiest things on earth. I walked past two high schoolers this morning on my way to the office. They were at my subway stop, slinging Krispy Kremes to raise money for their school. Everyone walked right past them, just like me. I wanted to coach them. I wanted to tell them that no one comes out of the subway looking for a deal on a dozen donuts. Nobody knows what high school they go to, or why it needs money. I wanted to tell them their claims were too generic to stand out, and that they weren’t thinking about the customer. “You’re approaching the problem from your perspective. You need to approach it from THEIR perspective.” The marketer in me felt like I was banging my head against a wall. Donuts are easy! Donuts are so so easy and they were making it hard on themselves. The headlines practically write themselves. Donuts are such an easy sell that they would have just been better off yelling “DONUTS” as loud as they could. I mean, come on. Everyone knows why a donut is awesome. This was the easiest feature-to-benefit translation I’ve ever seen. Engage them with a question. And then I realized I’m a crazy person for having visions like this in the half second after I see someone with a box of donuts. 1. meta: what’s the best way to compel the kids to change their approach? You could price the individual donut high enough ($3?) so most people to buy a whole box. Oh and I thought of pitches along the lines of bringing a box of donuts to your office and being a hero to everyone. 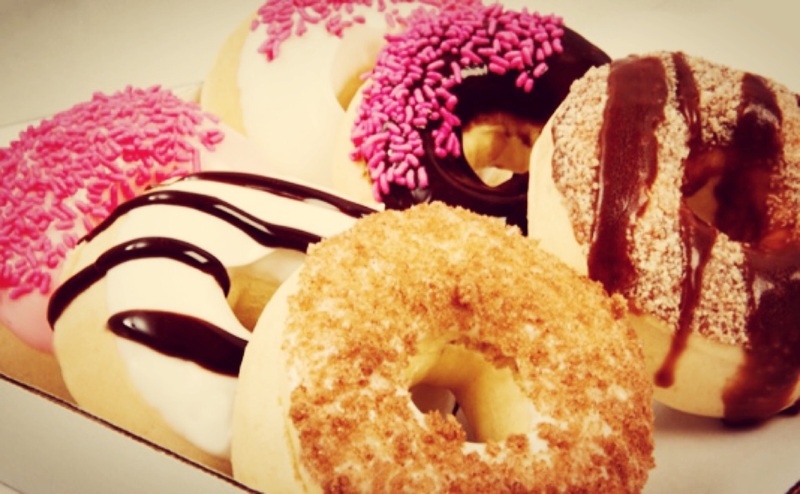 Do pitches aimed at business processionals — “How to Win Friends and Influence People… Bring Donuts to the Office”.